Tammy DiAmicis is an addict and proud of it. She is addicted to gardening, and this spring she was spreading the word at free seminars at Greater Sudbury Public Library branches. “There’s something about getting your hands dirty and watching plants grow,” she says. Thirteen years ago, DiAmicis was asked to cover a shift at a garden centre. She knew nothing about gardening, but after that experience she was hooked. Despite her passion, she doesn’t have a lot of time to spend in her garden. She has a busy household and two jobs. She favours perennials because they are generally low-maintenance plants. Perennials do not have to be planted every year like annuals. 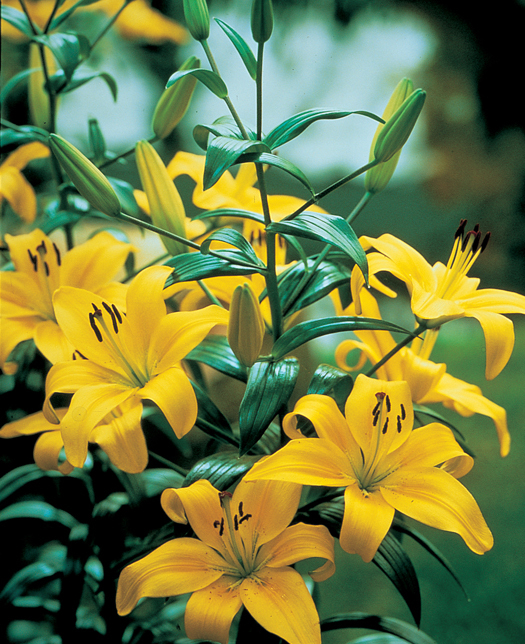 Once established, perennials only need watering during dry periods, weeding, and deadheading to encourage more blooms. The roots persist through the winter and every spring, if the gardener is lucky, new plant tops arise. 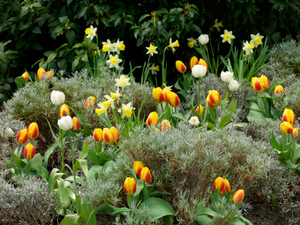 Perennial seedlings can be planted sooner in the growing season than annuals, and of course, bulbs are planted in the fall. Nursery seedlings can also be planted in early fall. Gardeners are advised to divide perennials when the plants are dormant, just before a before the ground freezes. Perennials include flowering plants, herbs, bulbs, grasses and some woody plants, such as shrubs and trees. “There’s no reason not to have a garden from the first crocuses to the first frost,” DiAmicis says. Greater Sudbury is on the border of Zone 3 and Zone 4, but DiAmicis says don’t be discouraged by labels that suggest a certain plant won’t grow here. She hasn’t had much luck with overwintering roses, but every spring she buys two bushes. “I’m happy for five months, they don’t overwinter but that’s OK,” because they only cost a few dollars. She does recommend people read the tags on plants regarding sun conditions, watering requirements, flowering time, and how tall and wide the plants will grow. “It is important (when planting) to leave room for them to expand,” she says. Some of DiAmicis’ favourite perennials are irises, foxglove, delphiniums, daylilies and sedums. While some people cut down their plants in the late fall, DiAmicis doesn’t, and has had good results with the natural insulation this provides. • It is possible to check the library’s catalogue and reserve books from home at www.sudbury.library.on.ca.